Unwanted guests are never fun, especially when you can’t ask them to leave. Luckily, Sachse pest control companies have no problem kicking them out. Whether there’s a rodent in your basement or insects in the attic, call your local Sachse exterminator to take care of them — do not try to wrangle them out yourself! Not sure which type of home pest control service in Sachse, TX can tackle your issue? Read profiles and ask about their past experiences to get a good idea. No one likes living in a home or working in an office that is infested with bugs. 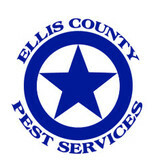 Ellis County Pest Services offers you over 18 years of professional, honest customer service. The company is owned and operated by the White family of Ellis County, and we believe that customer satisfaction is ALWAYS our number one priority. We strive to build and keep long term relationships with our customers by offering loyal, trustworthy, dependable service every time without exception. In addition to outstanding customer service, we offer competitive pricing that in most cases matches or beats competitor prices. We serve residential and commercial properties throughout Ellis County and its surrounding areas. At Bugkiller Termite and Pest Control we respect your home as much as you do and all products are safe for children and pets. We specialize in termite control and almost all general pest control. A general pest treatment includes inside and outside treatment of your home. Our basic pest control service will control many common structural invaders. These include indigenous cockroach species like the American roach and smoky brown roach, often known as "water bugs", spiders, earwigs, pill bugs, crickets, centipedes, millipedes, sow bugs, and scorpions. *German roaches not included Our general pest control service always comes with a free attic inspection and 90 day warranty. When it comes to your home or place of business we know how to make your conditions more manageable. It is our job to ensure that you are protected from pests and the materials used to control them and when we say pest we mean insects, bugs, rodents, spiders, termites etc... WE ARE NOT a means to eliminate in-laws or your son or daughter's teenage crush. 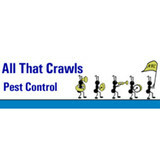 Welcome to All That Crawls Pest Control, where we provide the best insect and pest treatment services around. Whether our Specialists are spraying, baiting, dusting, spreading, fogging, or misting, we make it our priority to rid infected areas of unwanted pests. Locally owned and operated, we offer professional, prompt, and effective pest control services for termites, ants, roaches, spiders, rodents, and in general, "All That Crawls"! We are fully licensed, insured, and bonded, and offer year-round total pest protection for your home and yard. All That Crawls has family- and pet-friendly treatments. Address: 1901 West Berry Street, Fort Worth, Texas, 76110-3406 Since 1993, we have been killing bugs. If insects ever rise up and take over humanity, we are going to be in trouble. 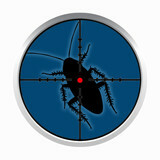 The pests would surely want to exact revenge on Alamo Pest for all of the pain and suffering we have caused their kind. We built our reputation as a pest control service and exterminator on doing an excellent job at an affordable price, all while bringing smiles to our customers. This simple concept has been central to our business and, we believe, essential for our success. Six Brothers Pest Control was created for one reason: to help families. We do this by getting rid of the stinging, biting, and sometimes dangerous pests that are always trying to get into your home. We offer general pest control as well as treatments for bed bugs, termites, fleas/ticks, and services for nuissance wildlife. Contact for wildlife control service and professional pest control in Dallas/Fort Worth. 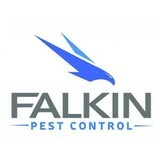 Call now for bat, wasp, rodent, rat, critter removal and extermination. 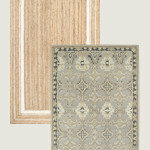 - We are a family owned business that opened in March of 2000. - One of our goals is to give you, the customer, more than you expect to receive. - We tailor your type of service and frequency of service to meet your needs. 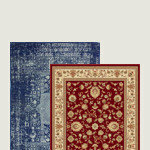 - We use the latest Chemicals and Methods of Application. - We train our staff and frequently attend Continuing Education throughout the year. - We wear uniforms and have signs on our vehicles so you know who we are. 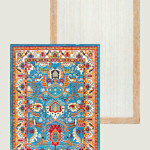 - Your concern for your children, pets and chemical exposure is our concern. - We schedule by appointment for your convenience. - We serve the DFW Metroplex with friendliness and professionalism. - Many people call us when they're tired of poor service, rudeness and apathy from their current company. Barefoot Mosquito & Pest Control is a professional pest control company proudly serving the greater Dallas, Texas area. Barefoot offers effective, long-lasting pest control treatments to help you reclaim your home and enjoy outdoor activities again. Pest control in Fort Worth is critical! We are a licensed Pest Control Fort Worth business, serving clients in Fort Worth and surrounding areas. We employ office personnel with actual on-the-job-training. This means you will receive the answers to many of your questions by simply calling our office. A caring person will answer your call, not a computer generated recording, answering machine or answering service unless all lines are busy or after we are closed. We are here to answer your calls over 50 hours a week. We offer trained, courteous technicians to provide your service. They receive continual education through training at Texas Tech and Texas A&M workshops along with numerous supplier and chemical manufacturers’ workshops. Your needs are evaluated by State Certified Applicators who will recommend the proper treatment and decide, with you, which products and services will best solve your pest problems. 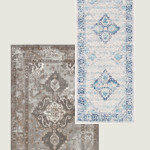 We take the time and use the products necessary to do the job right and at a fair price. The lowest price will not allow anyone to provide quality service. Western is a member of the National Pest Management Association, Texas Pest Control Association and Greater Tarrant County Pest Control Association and we continually take advantage of the information seminars, training, and research they make available. We conduct safety and training meetings in our office so that you are assured of consistent quality service. SafeHaven Pest Control is the evolution of RID-ALL Pest Control, originally founded in 1955 by the Bosco Family. SafeHaven offers residential and commercial pest control packages targeting termites, mosquitoes, rodents, general wildlife, and more. We also feature green pest treatment services to minimize environmental impact while keeping wellness and safety in mind. 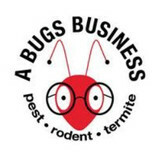 Autry Andress has 40 years experience in pest control. He knows what has worked best over the years. Put his years of experience to work for you and solve your problems. Hearing noises in the attic? Its probably rats or squirrels. We can help, call us and schedule an appointment to handle ants, roaches, spiders, fleas, scorpions, weasels, termites, rats, small animals, mosquitos, and more. We are a full service pest control and insulation company. We specialize in rodent/wildlife, termite control,bedbugs,bee removal,mosquito,attic insulation removal and upgrades.